Why are Vaccines important? Vaccines stop preventable diseases and in turn, save lives, prevent disability and illness, and reduce health care expenses and help break the cycle of poverty. Among the poorest, vaccinating just an additional 100 children can save two lives! Why aren't all children vaccinated? 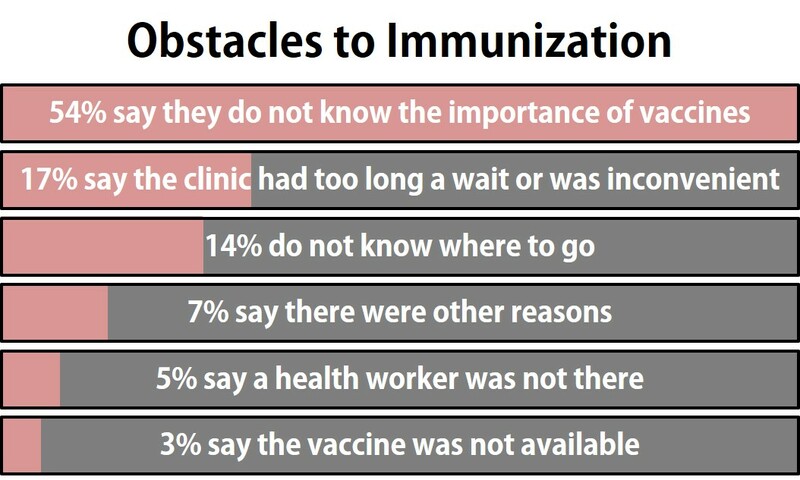 Many obstacles prevent infants from receiving even the most basic vaccines, and the Emmunify platform helps solve these. Essentially all families have cell phones in India. Mobile adoption is projected at 72% by 2016. For families in the slums, phones are a valuable possession and are securely carried. Even with high mobile adoption, slums and outlying areas still have problems with consistent phone and data service connectivity. Gartner, Inc. Gartner Says India Mobile Services Market to Reach US$30 Billion in 2016. http://www.gartner.com/newsroom/id/1963915. [Accessed 11 Nov 2014].